Will Pep Guardiola have the answers when Manchester City travel to Crystal Palace? "Manchester City striker Sergio Aguero has scored 20 Premier League goals in London – only Wayne Rooney (30) has scored more when excluding goals for London clubs. However, Aguero is yet to score in his five appearances at Selhurst Park in the competition." Aguero is [1.83] to score. Crystal Palace are looking to complete the top-flight double over Manchester City for the first time since the 1972-73 campaign. They are [11.5] to pull off a shock win. Manchester City have won five of their last seven Premier League matches against Crystal Palace, though haven't beaten the Eagles in their last two encounters (D1 L1). The draw is [5.9]. Crystal Palace have won just 41% of their Premier League points in home games this season (16/39), the lowest such ratio in the division. A Manchester City win is [1.33]. Manchester City have won their last eight Premier League games, keeping a clean sheet in six of the last seven. They are [2.2] to win to nil. Manchester City have lost two of their last eight Premier League games against sides starting in the bottom half of the table (W6) - they'd lost just one of their previous 52 such games in the competition (W43 D8 L1). Crystal Palace are [9.0] in the Draw No Bet market. Manchester City boss Pep Guardiola has won 23 of his 27 Premier League matches against English managers (D3 L1). They are [1.95] to win half-time/full-time. Crystal Palace Luka Milivojevic has scored 10 penalty goals in the Premier League this season - only Andrew Johnson (11 in 2004-05, also with Crystal Palace) has netted more from the spot in a single campaign. Milivojevic is [8.5] to find the net. Manchester City striker Sergio Aguero has scored 20 Premier League goals in London - only Wayne Rooney (30) has scored more when excluding goals for London clubs. However, Aguero is yet to score in his five appearances at Selhurst Park in the competition. Aguero is [1.83] to score. 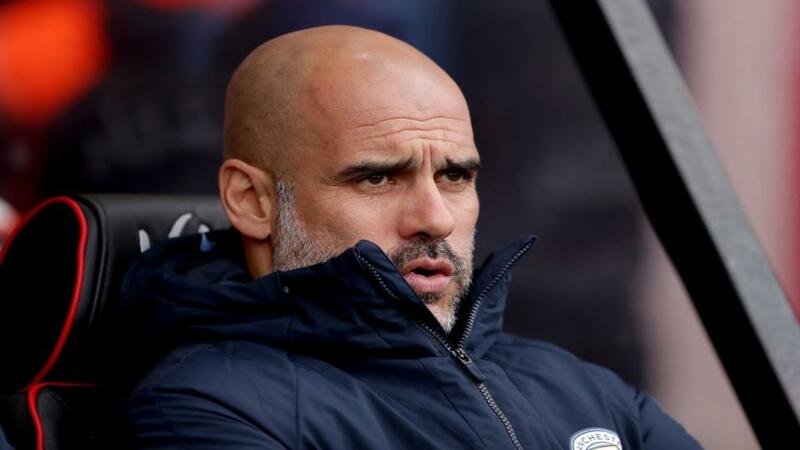 Manchester City manager Pep Guardiola is winless in his last two league meetings with Crystal Palace - he's only ever had longer winless league runs against Everton (3) and Borussia Mönchengladbach (4) in his entire managerial career. Crystal Palace are [3.6] in the Double Chance market.